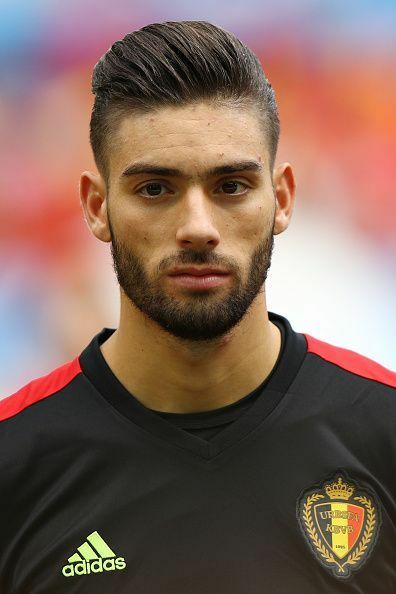 Yannick Carrasco is a Belgian professional footballer, born on 4th September 1993 in Ixelles, Belgium. The versatile footballer does not resort to only to his main position left-wing, but also plays as the right winger, left and right midfielder, attacking midfielder for his national side, Belgium. The talented Carrasco currently plays for Dalian Yifang at Chinese Super League. Carrasco is regarded as one of the most luxurious choices for the managers for his ability to play in different positions blending his great speed with superb ball skills and brilliant shots. Deserted by his father at a very young age, Carrasco was brought up his mother. Carrasco started his football career at Stade Everios RC in 1999 before joining Diegem Sport in 2001.At the age 11, he shifted to Brussels from Vilvoorde to pursue his career in football. In 2005, he joined KRC Genk and started to gain prominence with his immense talent. French side, Monaco, signed the rising star in July 2011. After playing for the B side, Carrasco was promoted to the senior team in 2012. In his debut season for the senior team, Carrasco helped the French side to get promoted to the top tier. His brilliant goal in the round of 16 clash against Arsenal in UEFA Champions League brought greater attention to him. Carrasco represented Belgium national team at Under-15, Under-17, Under-18, Under-19, Under-21 levels. Carrasco came into the foray of international football in the European Qualifiers Group B encounter against Cyprus in March 2015. He came on the pitch 21 minutes before the time and played in the right wing. After a string of ten games, Carrasco could play his maiden full 90 minutes international match against the same opposition in a Group H World Cup qualifier in September 2016. Playing in his left wing position for the first time, Carrasco netted a goal. Coming off the bench, Carrasco equalised for Atletico Madrid against city rival Real Madrid with a close-range finish in 79th-minute to take the 2016 UEFA Champions League final into the extra-time. However, in the next season, he enjoyed stupendous 2016-17 season netting 14 times in all competitions for the Los Rojiblancos. Although Carrasco played 22 matches for the national side, he could play full quota of 90 minutes only seven times. He suffered a dip in form and intensity in the 2017-18 which was coupled with a distance with the Atletico manager, Diego Simeone, meant he could play only 18 matches in the 2017-18 season scoring four goals. Carrasco had been in superb form in his three-year stint with Monaco where he scored 22 goals in 82 matches. In the summer of 2015, The Belgian international joined Spanish giant, Atletico Madrid, at a relatively low price 15 million Euro. Over the next two and half seasons, Carrasco appeared in 124 matches hitting the ball at the back of the net 23 times. In February 2018, he moved to Chinese club, Dalian Yifang However, this shocking move just prior to 2018 FIFA World Cup has raised serious questions on his inclusion to the national squad for football’s biggest event.